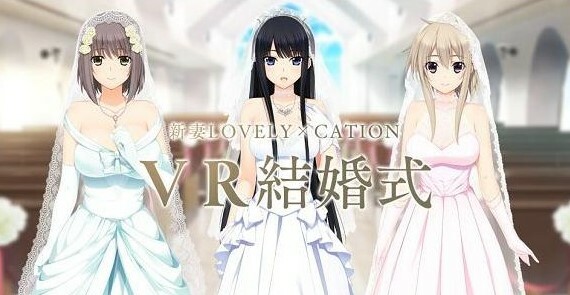 Nothing is impossible when it comes to love, and now even being able to marry to your favorite anime character is a possibility thanks to virtual reality.and also thanks to Niitzuma LovelyxCation, the latest romance video game from developer Hibiki Works. Nitzuma means “new wife” and the idea behind the game which was announced earlier this year is to let players court one of the three characters in the early part of the game, and then let the gameplay experience continue on into their blissful, physically affectionate married life after saying saying “I do” to either Yuki Isurugi, Aiko Kurihara or Nono Naruse. But the wedding that you see on the video It’s actually a pretty confident marketing stunt, given that the PC game’s release was back in April. Hibiki Works announced they were looking for people (grooms) interested in having a real wedding ceremony in a real wedding chapel. Luckily there is not shortage of volunteers, and the first wedding happened over the weekend in Tokyo. 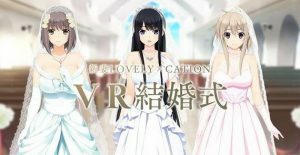 Romance is a growing VR gaming genre in Japan, it will be interesting to see what comes next in this genre of gaming. Perhaps in the future someone might see Divorce VR ?